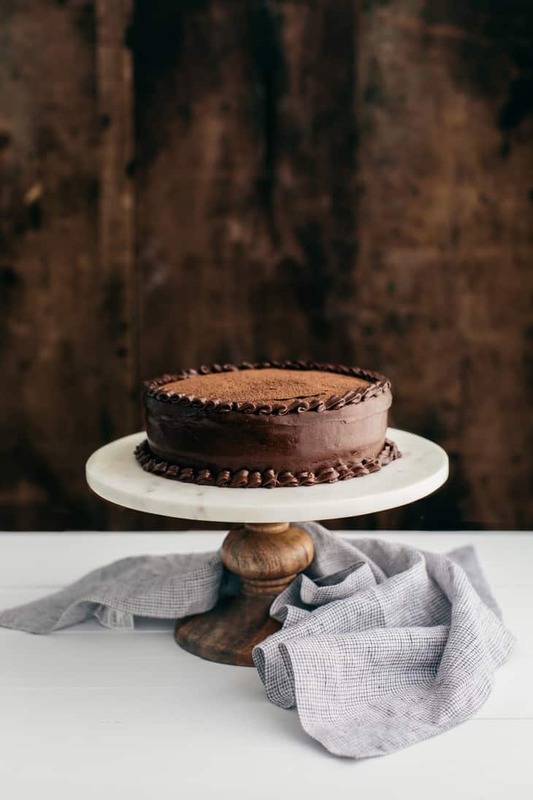 Chocolate Cake + Birthday Giveaway | Naturally. Since 2011, a bit of a birthday tradition has arisen on the blog (I lost post from ’07 through ’09 and for whatever reason made risotto for 2010– not sure what I was thinking). However, in the past few years I have typically made my own cake, talked about the year before and held some sort of giveaway of some of my favorite things (I’m not a big person on receiving gifts and much prefer to give). While the cake and giveaway is still happening, I’m at a bit of a change in my life as I sit on the precipice of a new chapter, with baby. So instead of reflecting on what has happened, I’m just here, soaking it all in (and doing a modicum of looking forward, I mean, we are having a baby). M and I headed out of town for the weekend and flew up to Seattle (which was pretty obvious if you follow me on instagram). We’ve eaten some lovely food, saw a few sites, and for my birthday are taking a drive to see a bit of scenery and eat more wonderful food (the perfect day). In honor of this trip, I decided to do a sweet ‘Seattle bundle’ giveaway of a few items I picked up when we walked to Pike Place along with some Marge granola and two cookbooks by two lovely Seattle ladies (I wish I could giveaway all the cookbooks by people from Seattle but I’ve determined that Seattle is land of magical cookbook writing + there are tons). Those croissants! 🙂 Looks like a great time. Happy Birthday! It has been years since my last visit to Seattle. I need to make it there again! I hope you are enjoying Seattle. It looks amazing! Happy birthday, lady! May it be filled with plenty of love and all of that beautiful cake! Hello! Love to see a woman doing what she loves on her birthday! Happy birthday!! Seattle looks lovely! Oh my goodness the date night in cook book is too too cute! Happy Birthday! I love Seattle! Happy Birthday! Gorgeous photos of Seattle, it’s a wonderful city with great people and food. Happy birthday! I was just talking about wanting to go Seattle and this is another push in that direction! Helloooo! 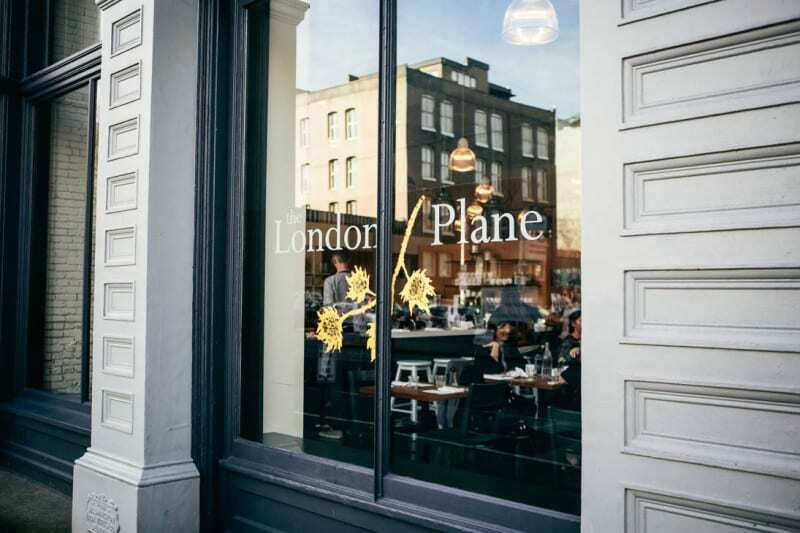 That cake is calling my name 🙂 Love your photos too, looks like a nice place to visit! Happy Birthday! 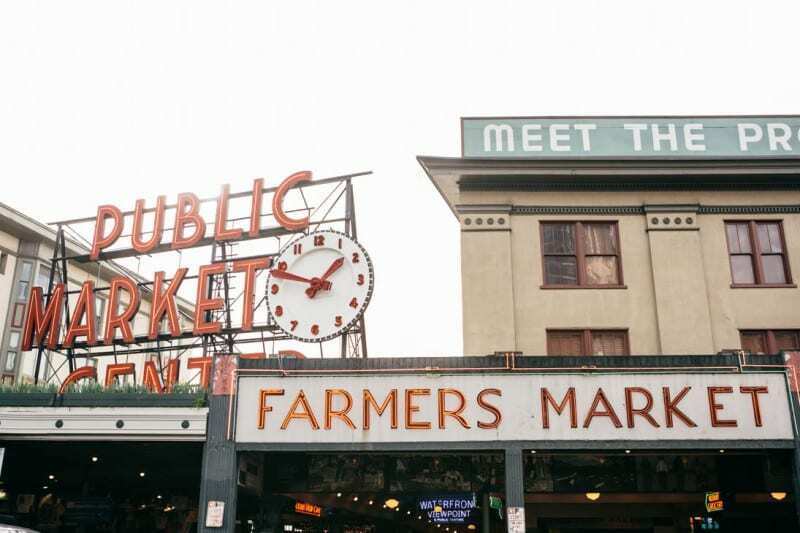 This post makes me want to go back to Pikes Place so badly. When I visited 10 years ago, I wasn’t interested in traveling, plus the life situation that occurred around the trip had me hating the whole thing before we left home, so I didn’t really grasp everything Seattle had to offer. I honestly was looking forward to your cake post!! Really excited about trying this one out. As a matter of interest, have you tried this cake with dutch process cocoa? I love all things cake related and Seattle related! Yum! Your photos are beautiful! Happy birthday! Beautiful photos! Great post about Seattle! Makes me want to go! looks amazing! i’d love to go to seattle at some point! This looks like the perfect cake to make for Valentine’s day! Seattle is the greatest! Thank you for this contest opportunity! Ps- I misspelled my Instagram name on the contest entry. It’s really “michellekc41_13”! Thanks! I love Seattle! It looks gorgeous in your pictures. Happy Birthday! Hello and happy birthday! Glad you’re enjoying these last months before baby comes! Happy birthday to you! I have become a repeat visitor to Seattle because I love it there- I also went there for my birthday last month! These photos are lovely and reflect what I love about the city. Thank you for the delicious cake recipe! I would be especially excited to receive your Whole Grain Mornings book, of course, but all of the treats look so special. Your photos make me so hungry! Happy birthday!! I love the picture from Seattle, especially the flower bouquets! One of them looks similar to my bridal bouquet and totally made me smile. I’m from Portland so I’ve visited Seattle a bunch of times. It’s such a great city to wander in. Happy Birthday!! Happy birthday! Thank you for all that you do- I love reading your blog and your recipes and stories. Have a wonderful birthday and Valentine’s Day! What a delicious cake! I’ve never been to Seattle but have always wanted to go, even more so now seeing all your lovely photos. Happy Birthday! Beautiful cake! I hope you have a happy birthday! Happy birthday Erin!! Hope you had a lovely day! Looks like a wonderful cake! Happy birthday, and happy Valentine’s day! I hope the next year is filled with love and happiness! Such gorgeous pictures. I would love to retrace your steps one day! Congratulations on your blog anniversary, keep up the wonderfully inspiring and delicious work! I have no idea why I wrote blog anniversary…HAPPY BIRTHDAY!!! That cake looks delish, hope you enjoy it. Happy Birthday! Happy birthday! I love the photos of Seattle — I moved to Portland a few months ago, and have yet to take a trip up there. Now I really want to visit! Happy Birthday to you! Have a fabulous day! And I wish I could have a piece of that cake…OMG YUM!! What a wonderful looking cake! Happy birthday!! Happy Birthday! And thank you for the giveaway! Hello, Happy Birthday! Great looking photos, now I’m hungry! These cookbooks have been on my list forever! Hello, and happy birthday! The cake looks delicious! Hi! I have so many good memories of Seattle. I used to live in Anchorage and every year my mom and I would fly to Seattle for a girls shopping trip in the Spring. Happy birthday! That cake is gorgeous and sounds delicious! Erin, a little bit late to wish you happy birthday but I hope you had a very beautiful day! Ahhh those flowers are beautiful! Happy Birthday! Such beautiful pictures! I hope that you enjoyed Seattle. We’ve had great weather this week! Hello! Happy birthday! Thank you for the wonderful giveaway. Hello and happy birthday! Being a relatively new pacific northwesterner, this bundle looks amazing! looks like fun! 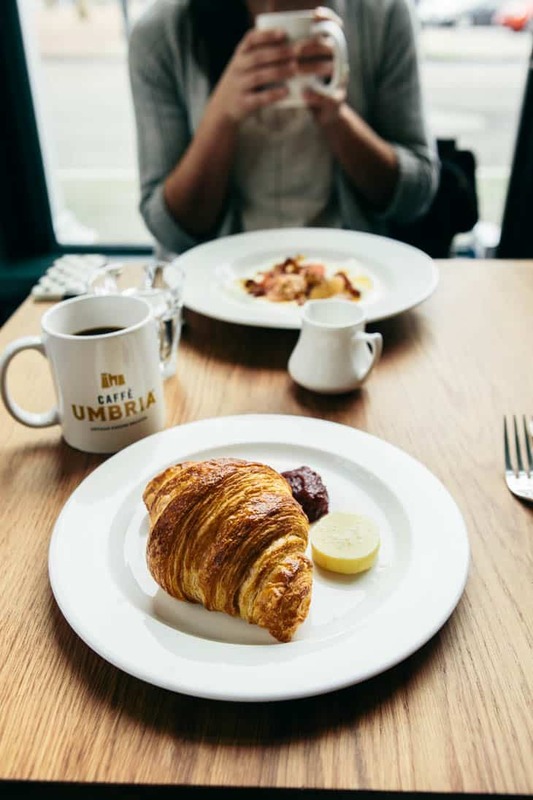 Where did you eat in Seattle? Happy Birthday Erin! Seattle looks so gorgeous; the perfect way to spend a birthday, in my opinion. And this cake is absolutely lovely. Your piping is so refined and elegant. Also, I know that ‘looking forward’ might be difficult, what with your little one coming, but I have a feeling that when that time comes, everything will become completely innate. Change is scary, but holds so much potential! Sending you my best wishes for the future! Oh my word, what a phenomenal cake! Thank you for the chance! The cake is stunning! Happy birthday! Happy birthday.. Seattle looks beautiful..
Beautiful photos! I want to visit Seattle again! Happy Birthday! Happy Birthday! Seattle looks fab … Been wanting to go there forever! Chocolate cakes with cocoa are divine and this one looks as lovely as the city of Seattle! Happy Birthday! 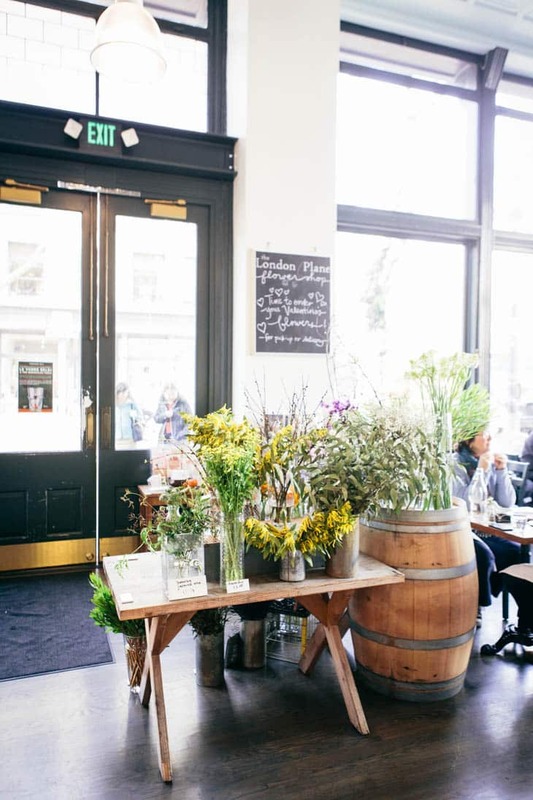 I make my own Birthday cake too, thought it was odd but apparently I’m not the only one 🙂 Incredible pictures of Seattle, I just want to step into the photo and smell those flowers and croissants! Happy birthday! That cake looks wonderful! Happy Birthday! That cake looks amazing. Thank you so much for sharing your weekend with us and for offering such a lovely giveaway. Hello! Great photos! and last but not least, Happy Birthday! Happy birthday! I love all your recipes and your photography is outstanding! Enjoy Seattle! It’s beautiful! Great visuals – makes me want to go there! Happy birthday ! The photos look amazing and make me want to go there ! The cake looks yummy too… I definitely have to try the recipe ! Happy birthday. I can’t wait to try this cake and I love, love, love Marge Granola. Happy Birthday! That cake looks gorgeous – enjoy Seattle, my favorite US city! Happy (belated) Birthday! Your photos are astounding! Seattle is deff on my list of places to travel to. Hello and happy birthday. The cake looks and sounds delicious. Thanks for the opportunity. That cake looks amazing! Happy birthday! I’ve always wanted to go to Seattle too. Looks fun. Agreed: Seattle is ‘da bomb! Happy birthday: enjoy it! I’m so glad to have found your blog a few months ago. We have made so many of your recipes. Thank you for sharing with us. Happy Birthday!!! I’m not a big fan of cake, but this one looks amazing. Glad you had a good time in Seattle. Everyone should celebrate their birthday well. LOVE your blog! Your photos and recipes are amazing! I loved your photos of Seattle. Great giveaway! Happy Birthday! The cake looks so yummy. Seattle looks yummy too. I have never visited Seattle, but if I win your bundle is the next best thing. Thanks for the giveaway. Thanks for the reminder of Public Market. Driving from San Francisco to Ellensburg for my nieces graduation this spring and will add it to my stops on the road trip. The one time I visited Pike Place I loved watching the fish guys throw and catch the fishes! And the flowers are stunning! Happy BIRTHday! Oops posted my last comment as a reply to someone else’s comment. lovely photos of Seattle! Thanks for the giveaway. Hello! It sure looks like you had a great time celebrating your birthday! It’s been 6 years since I’ve been to Seattle and I am long over due for a visit. Happy Birthday! 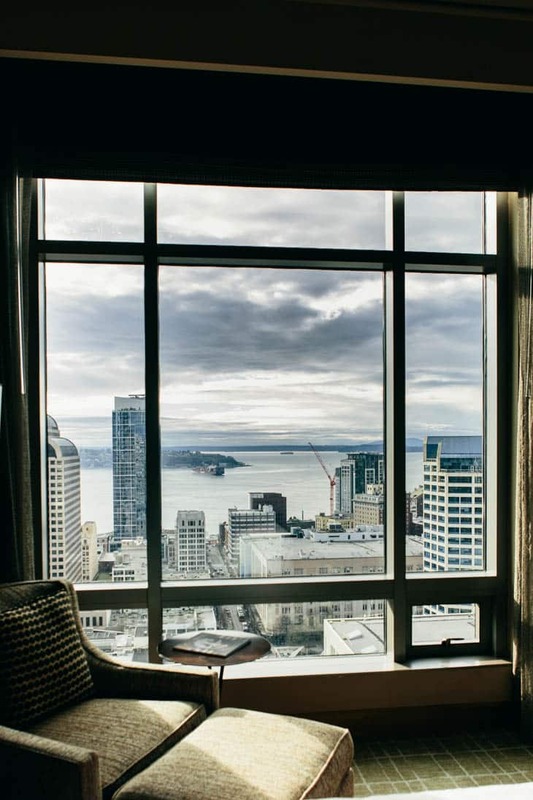 Thank you for the lovely photos of Seattle…it is on my list of places to visit, and the pictures help remind me why I want to see it for myself. Your photos are marvelous! I didn’t know Seattle was so nice. My birthday is on the 21st so Happy Birthday, fellow February girl! People always put February down because of the weather (I’m outside Boston) but it’s one of my favorite months, for obvious reasons! I am not sure anything can beat a classic chocolate cake! Happy birthday! Happy Birthday to one Auquarian from another! Thanks so much for all your recipes and another reason to celebrate! Lovely giveaway and cake. What a fantastic way to celebrate your birthday!! I live on Vancouver Island but have yet to go to Seattle! 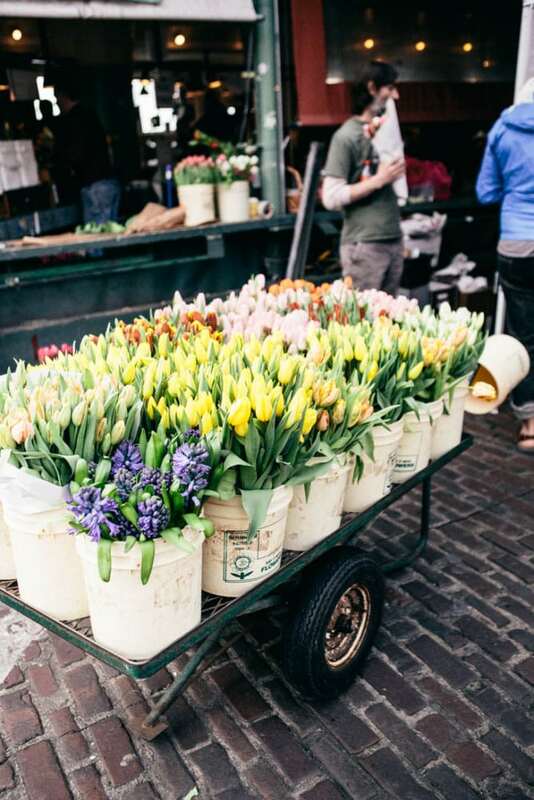 It is definitely first on my list for travels- Pike Place Market looks like a dream! Thanks for doing this great giveaway. What a gorgeous looking cake! i bet it’s scrumptious too! makes me wish i could have some. Great giveaway also. Your photographs and recipes are always great and inviting. Thank you! Happy birthday! I’ve only been to Seattle once but am dying to go back! Happy Birthday! Thanks for the awesome giveaway. I love Seattle! I have semi-regular trips to Everett for work and I always make everybody schlep back to Seattle for dinner when I am there. So many good places to go and things to see! Congratulations and happy birthday! Thanks for filling our lives with lots of food love. Thanks for the give away! Happy Birthday! Thanks for all the yum! I’ve never been to Seattle even though I have relatives who live there. Beautiful pictures of a beautiful city! Hello! 😀 These pictures are wonderful! Love your blog! It’s gotten me through many nights of “what’s for dinner, honey?” Thank you for having lovely, healthy, and inspiring recipes! By the way, recent red lentil masala was fantastic. The homemade garam masala took it to the next level, and it is now under the “go-to” category of recipes in my head! Happy Birthday! That cake looks so so delicious and decadent! It’s been a long time since I’ve been to Seattle. Looks like a fun trip! Thank for the opportunity on your lovely giveaway! Such gorgeous pictures! Taking a weekend trip to Seattle in a couple months and I’m even more excited now! Hope you had a beautiful birthday. Beautiful pictures! Seattle is gorgeous. Hi!! Happy Birthday!! I’m loving your photos, they are beautiful!! Happy Birthday! Those recipe books would fit so nicely in my library. Happy B-day! Love exploring new cities. Thanks for giveaway. Happy Birthday! That cake looks ahhmazing! I love the powdered cocoa on top! I’ve only been to Seattle once, so I am super jealous of your trip. Happy birthday, and thanks for the giveaway opportunity! Love the photos! I have always wanted to go to Seattle. What a fun trip! Happy birthday, friend! Spectacular photos of the market and a positively beautiful and professional cake. My cakes may be tasty but never (no, really and truly NEVER) look anything but a mess. Bread is much more my baking medium!! Hi Erin, I used to live in Eastern Washington and love love love Seattle. 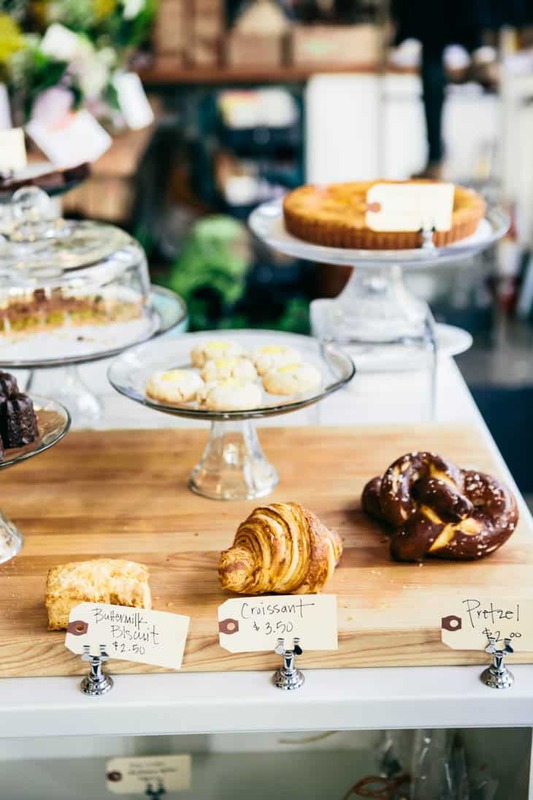 My favorite is the Queen Anne area… I love Delancey pizza, Cupcake Royal, local coffee shops, the parks along Lake Washington, artisan breads, I could go on forever. I lived in Seattle for 5 years, such a beautiful city. So glad you enjoyed your visit, and Happy Birthday! The perfect celebration cake. It’s Tuesday right? I think that’s worth celebrating! Well hello there. Good luck with the wee-one and happy birthday. Whilst I hope you will still inspire us through your blog, don’t ever feel guilty if you don’t have time once you give birth. Enjoy it and remember that we’ll all be happily pottering in the kitchen until you are able to return. Happy Birthday! I am going to Seattle in August this year and it cannot come soon enough. Happiest Birthday! Amazing photos! And that cake looks really yummy! beautiful photos! makes me miss seattle so much! My husband and I went to Seattle in December for 10 days. Every time I see a picture pop up on a blog or instagram I get excited – it was amazing! I miss the PNW!! Happy Birthday to you! Enjoy this year ahead! Hello and happy birthday from Memphis, Tennessee! Happy, happy birthday! I am smitten with Seattle and jealous of your getaway. Happy birthday! A trip to Seattle sounds like a wonderful way to celebrate! Looks amazing! Happy belated birthday! Happy birthday, and thanks or this wonderful giveaway! Love all of the flowers from the Market! Seems like a great Birthday!! Cake looks awesome-as does all of your food! I lived in Seattle for 4 years and I miss it every single day! It sounds like you had a lovely birthday. Happy Birthday! Happy birthday! I’ve always wanted to go to Seattle, and your beautiful pictures give the the travel bug! Now that’s a joy filled give-away! And the chocolate cake looks and sounds amazing. Your Seattle pictures are gorgeous! What a lovely post… you remind me I must get back there soon! Happy Birthday… and I feel I should thank you again and again for your work on my blog. I adore it! Beautiful cake and gorgeous pics! Happy Birthday! congrats and happy birthday! beautiful photos as always. Happy Birthday to you! Thanks for the ever so lovely Seattle pictures, and such a great giveaway! I’m finally taking a moment to thank you for creating a lovely space for sharing your inspirations, thoughts, and delicious recipes. Happy birthday and here’s to many more blog years! I love Seattle! I’ve only been there once, but want to go back sometime soon. It has such character! And, amazing food. Thanks for sharing your time there! Happy birthday! 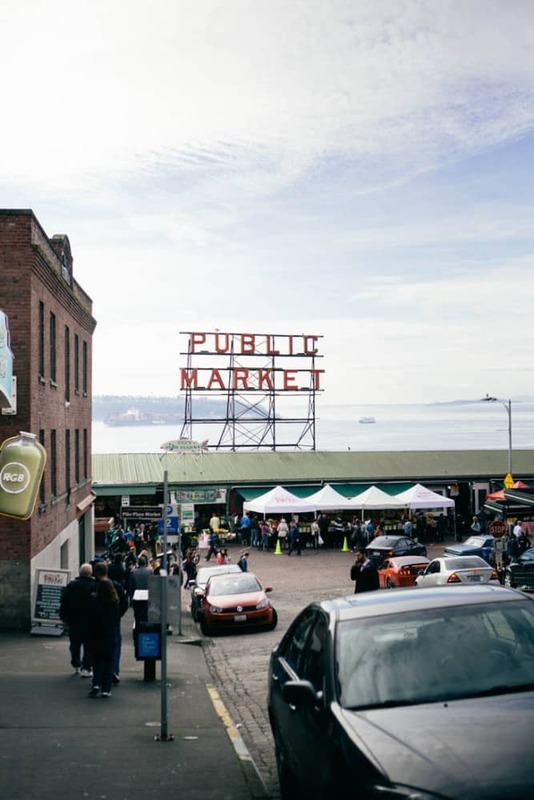 Seattle is on my list of cities I need to visit soon– it looks amazing! I’m glad you made it to Seattle! I grew up here and just moved back and am so excited to explore again! I’ve always wanted to visit Seattle! Happy Birthday!!. I love reading your blog and trying your recipes. Your pictures are fantastic. Thanks for doing a give-away. And thanks for sharing your stories. Happy birthday! I bake myself a cake on my birthday, as well. The first year it was the pistachio cake from the Momofuku Milk Bar cookbook (AMAZING, but a labor of love for sure). I am already planning the flavor for my birthday in June. I am thinking about something citrus or raspberry. Glad there are others out there who do this too! I have always loved your site. You are a fantastic blogger! Can’t wait to make that cake! Also your pictures are amazingly beautiful! May I ask what lens you are using? Hi Nina, for most of those photos I was using the Canon 24-70 lens (and maybe the 50mm, but only on 1 or 2)! A very happy birthday and a beautiful cake. Happy birthday! As someone living in the PNW, I am glad you enjoyed your time in Seattle. i was just in Seattle 1 1/2 weeks ago and had a great time. Picked up our new puppy and got to spend time with my best friend. Hope your birthday is as wonderful as your recipes are! My husband and I both have been to Seattle before we met, but I think we need to make the trip together! Happy Birthday to you! Your cake looks absolutely divine, and I love hearing about how your pregnancy is going, and all your food cravings 🙂 I have a 4 month old little girl, and it’s fun to reminisce about my pregnancy with her. The joy that a baby brings is indescribable! I would love to visit Seattle someday! i’m not a huge cake person but i’ve been eyeing carrot cake recipes, although this cake is making me re-think that game plan. or just a ham and cheese croissant with a candle… happiest of birthdays!! We’ve been talking about a Seattle trip for a long time now… I think it’s time we go! Love the pictures (& the cake)! This chocolate cake looks amazing! Congratulations on having a baby and Happy Birthday! Your photos have such character. Inspiring! Happy birthday! If I made cakes have as beautiful as this one, I’d make my own cakes too! 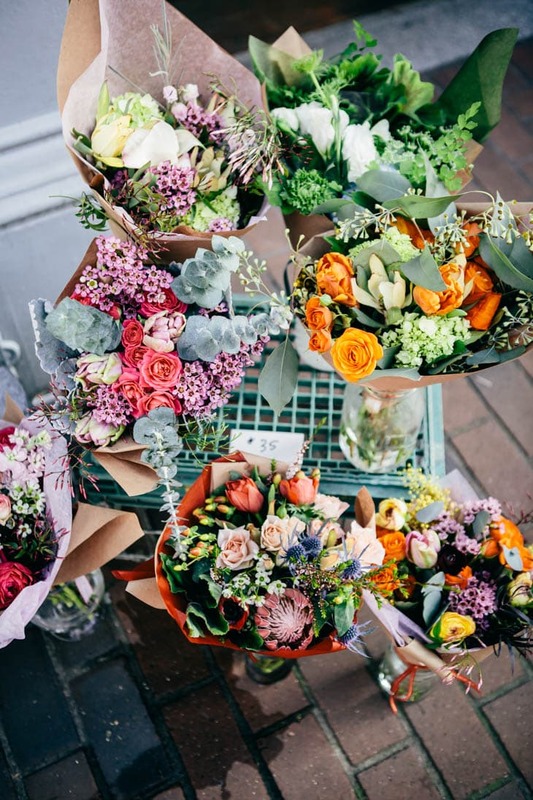 Pretty pretty pictures from the farmers market! Happy Birthday! I just made a chocolate birthday cake for my fiancee yesterday 🙂 maybe we’ll have a second one with this recipe though! Thanks for sharing! Happy happy happy birthday!! Seattle is so much fun, especially if you like food. Hope you’re having a great time! Love your blog! That cake looks delicious! I think I need to visit Seattle for a “food” trip! I hope you had a fantastic Birthday!! Beautiful photographs — as always! Happy birthday! Love Seattle and all of their yummy food! Hope you had fun! Hi there! 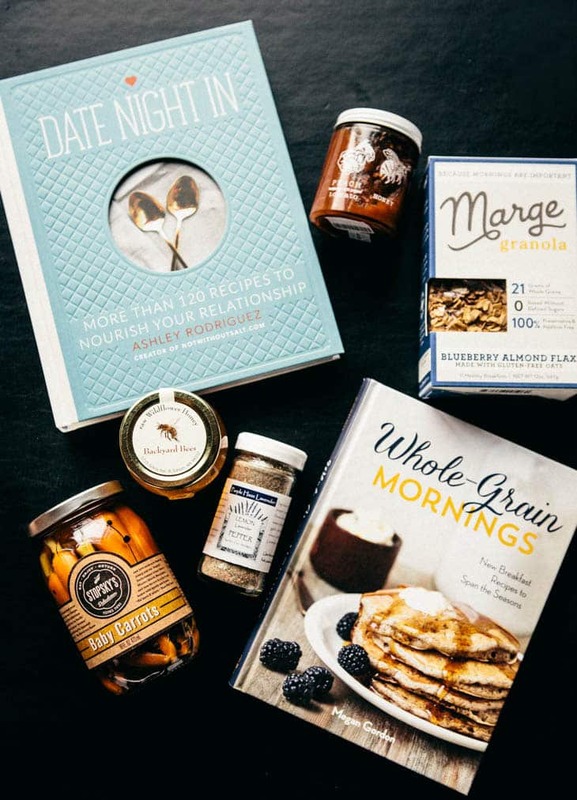 That book, “Date Night In,” sounds like it would be really cool! Thanks for the giveaway. Hello and Happy Birthday! Thanks for being one of my favorite go-to food/lifestyle/photography blogs… appreciate your wisdom and your spirit. Love the picture. I wish I had that cake right now! I don’t get to Seattle as often as I should, living so close in Portland! Lovely photos! This makes me want to go back to Seattle! P.S. HAPPY BIRTHDAY from a big fan!!! I am having major cake pedestal envy! Could you please tell me where you found the marble top/wood base cake pedestal on the chocolate cake + birthday giveaway post? Many thanks!!! 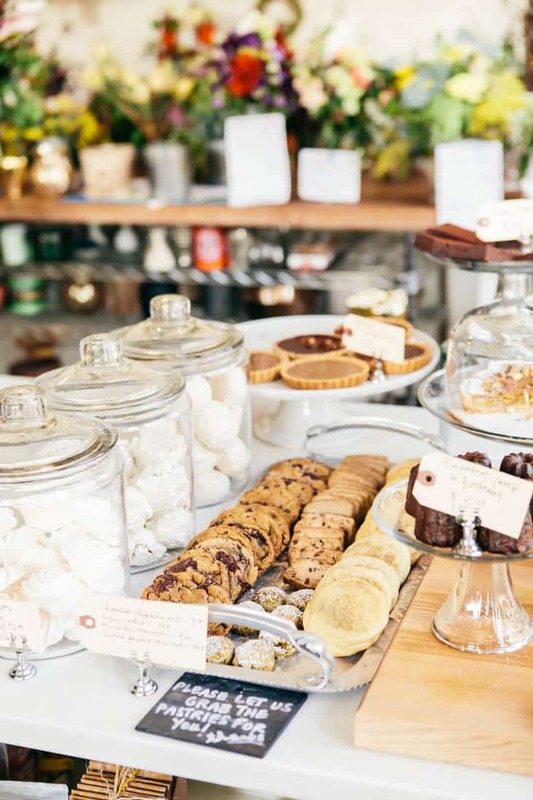 Hi, I absolutely love the cake stand with the wood foot. Do you have any idea where I can find one like it?